Chartered Physiotherapist Gemma Tune of Finely Tuned Physio has 10 years’ experience working with sports people of all levels: from recreational runners to Olympic athletes. She has also completed extended training in running technique and analysis. 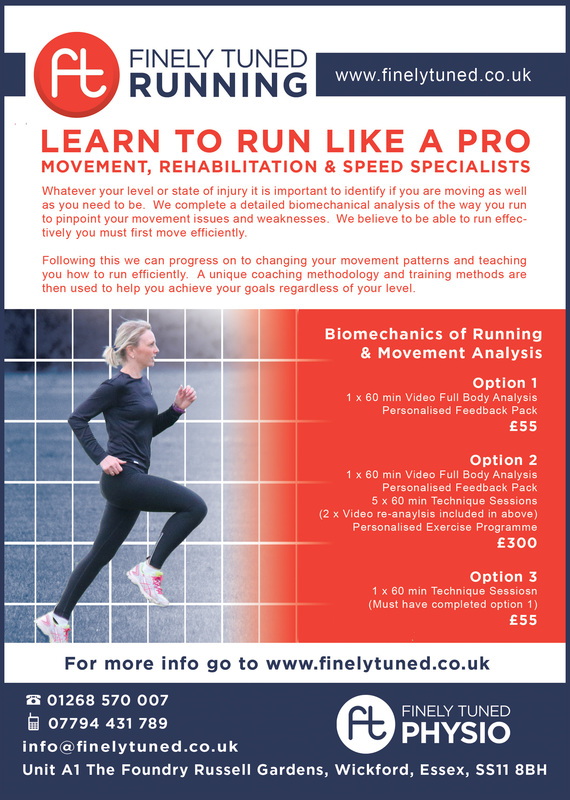 Gemma will spend an hour one-to-one session with you analysing your running biomechanics and identifying pitfalls. She will provide you with a unique management plan to change your running technique, increase efficiency and reduce injury risk. Following this we can progress on to changing your movement patterns and teaching you how to run efficiently. A unique coaching methodology and training methods are then used to help you achieve your goals regardless of your level. Check out our latest flyer, for copies just pop into the clinic!